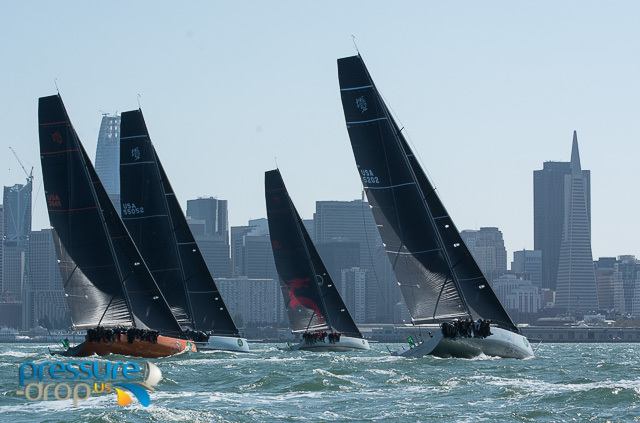 The predictive wind forecasts show bundles of sun and fun for the fleet in the 2018 St Francis YC Big Boat Series sponsored by Rolex. 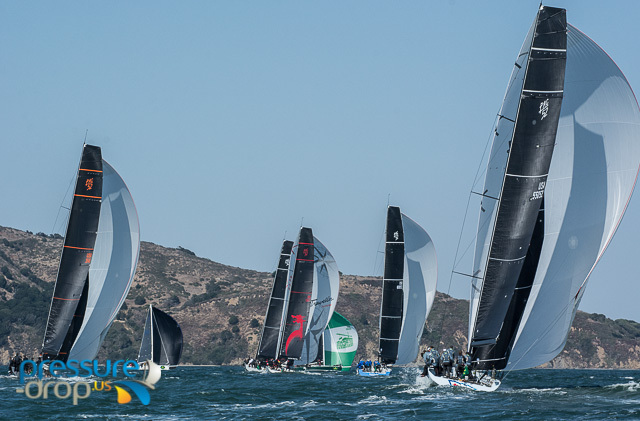 With winds expected in the 15 -25 knot range, temps in the mid 60's to low 70's, the PAC 52 fleet will be battling on the edge and eating up the racecourse in spectacular fashion. 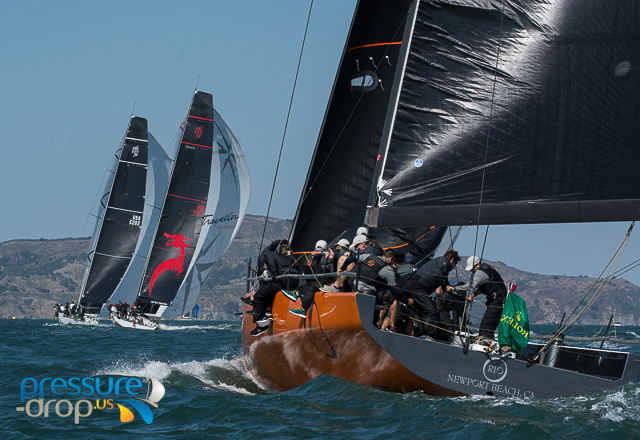 The prior 3 Southern California stop in San Diego, Long Beach and Marina Del Rey have provided a great training surface for crews which must now adjust to closer quarters, stronger breeze and unforgiving currents. 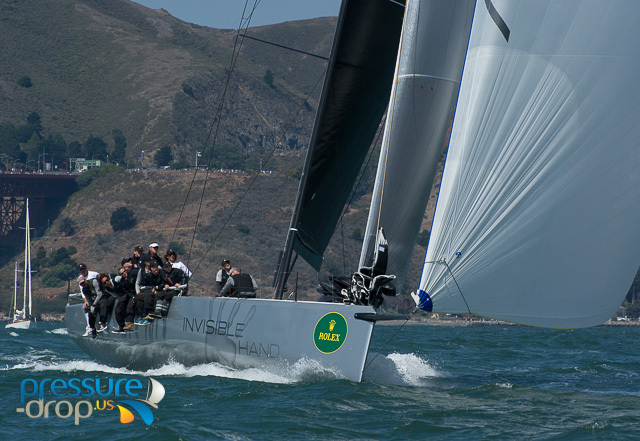 Local boat Frank Slootman's Invisible Hand enters into the 7 race series with a 6 point lead over Austin and Gwen Fragomen's Interlodge for the season championship. 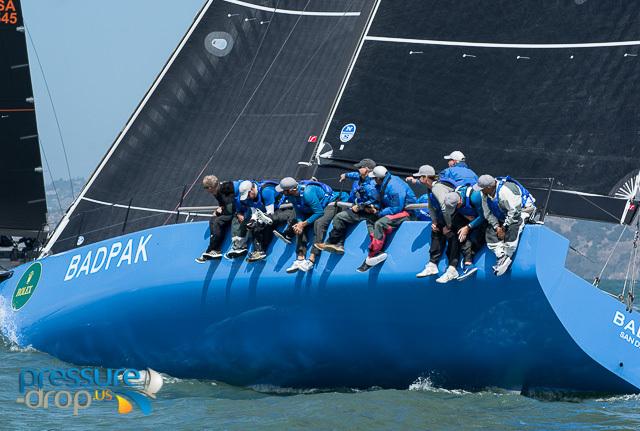 Just off the pace, Manouch Moshayedi' RIO and last years season champions, Tom Holthus's BadPak, both eager to reverse earlier fortunes at the start of the season. 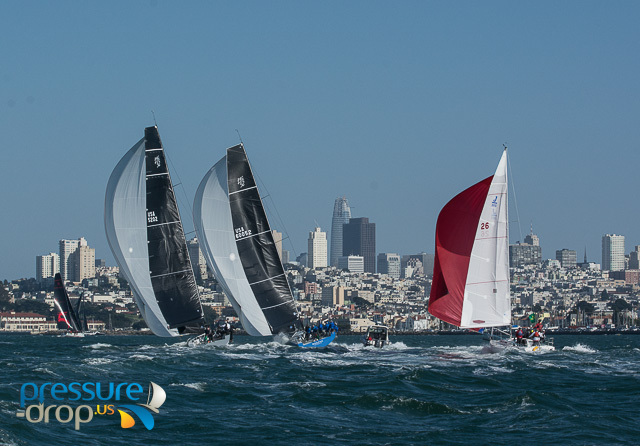 But in this ultra competitive class, nothing is secure until the boats cross the finish, leads are exchanged quite frequently and W's can be counted until the whistle blows. Add to the mix the unpredictable nature of inter fleet interaction, such as the 28 boat strong J-105 class, or the various courses and speeds of the ORR divisions and you have a real high seas 3D chess match brewing in every leg, and nothing can be taken for granted! The tactician's and navigators will have their hands full, and teams are loaded with talent in that department. BadPak utilizing local wiz Christopher Lewis along with Artie Means and Bruce Nelson are playing for keeps. RIO counters with local talent Mike Menninger and Justin Schaffer while Interlodge brings in Surfdaddy Morgan Larson and Geoff Ewenson to help predict things before they happen. 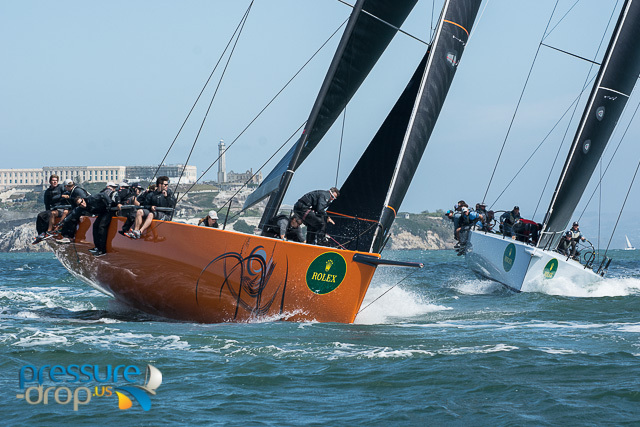 The Beau Geste tandem of Gavin Brady and Jamie Gale have proven hard to trip up as crew for Invisible Hand and would love nothing more than to prove last years Big Boat Series win on BG was not just a fluke. 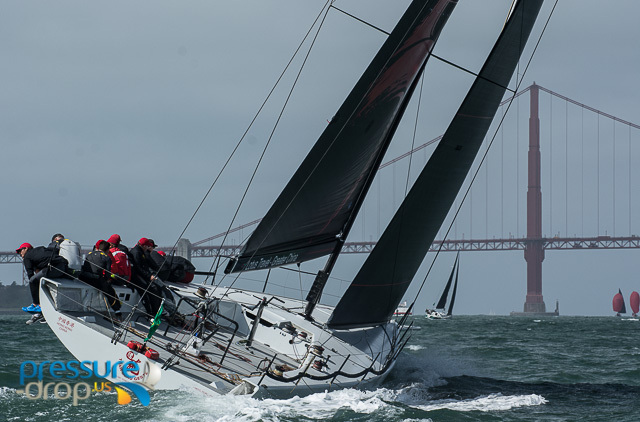 The bottom line with these grand prix boats and their well trained crews is you will have nearly as much fun observing the flawless boat handling, tight roundings, lightning quick sets and takedowns from a nearby vessel, on shore vantage point or perhaps a large steel structure spanning the Golden Gate. HINT: There are more courses going in and out the gate than ever this year and when was the last time you rode your bike on the west side or took a nice stroll on the east side? 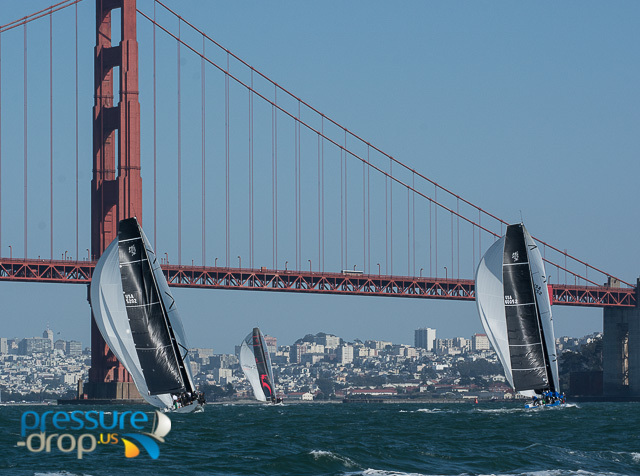 Racing commences at 11:00 on Thursday with 2 per day with the grand finale, the Bay Tour scheduled for 11:00 Sunday.